You’ll find all the Georgian dishes you’ve ever heard of, an unbeatable selection of 8 Georgian breads and bread dishes, several soups and salads, kebabs and stews, and assortments of meats, fish, cheeses, or pickles. There are even Georgian desserts — something I’ve never seen in restaurants in Georgia. Let’s start with the breads. Out of gluttony professional thoroughness, we tried all 3 kinds of khachapuri. I dare say they’re the best in NYC. Granted, the local competition isn’t very fierce, but even back in Sakartvelo, these would be considered really good. 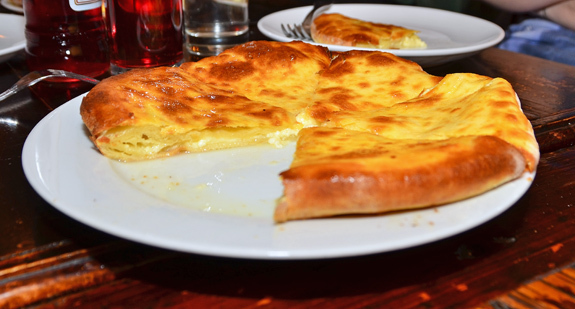 The Imeruli (Imeretian) khachapuri boasted a slightly layered dough filled with a cheese mixture that looked and tasted like a blend of Imeretian cheese and sulguni, with just the right amount of salt. I gather that before the kitchen started to make its own cheese, they used a mix of feta and mozzarella. I haven’t tried this older version, but the current one is an absolute winner. 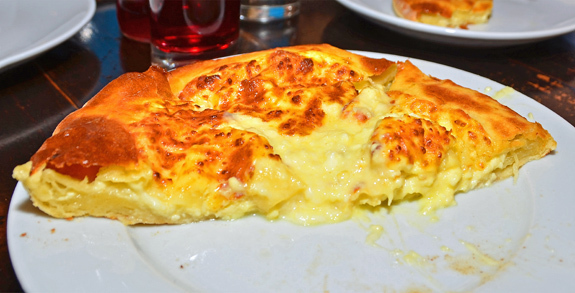 The Megruli (Mingrelian) khachapuri was pretty much the same, but with extra cheese on top. This was really a lot of cheese! Borderline too much, but still excellent. The Adjaruli (Adjaran) khachapuri was just as good. While the cheese mixture was more or less the same, the dough was airy, bread-like but soft. The boat-shaped dish was topped with the usual egg and chunk of butter. The bread-cheese ratio worked great — if you want to follow tradition, you should mix the egg and cheese, and dip the crust in them. I would gladly (and hopefully will) go back to Oda House just to eat khachapuri. We also tried the kubdari, which is basically the khachapuri’s cousin filled with meat instead of cheese. The beef was coarsely ground and a little bit tough, simply prepared with onion and black pepper (no khmeli suneli like at Pepela). 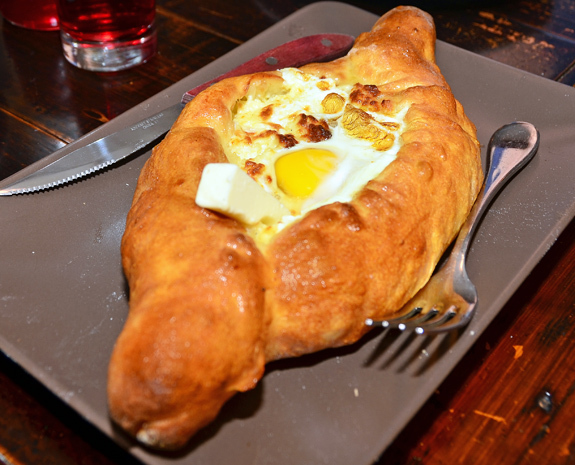 Some day, someone should make a kubdari that’s as addictive as khachapuri. The whole bread was also too salty. 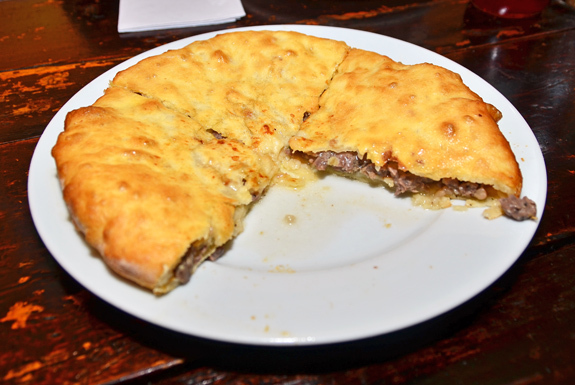 The chvishtari, a polenta pancake with cheese in the middle, was fairly good for such a rustic dish. This is usually heavy stuff. Oda House’s novelty was to serve it with walnut sauce. The flavors went well together, but walnuts tend to have a dry mouthfeel that didn’t help the already dryish cake. 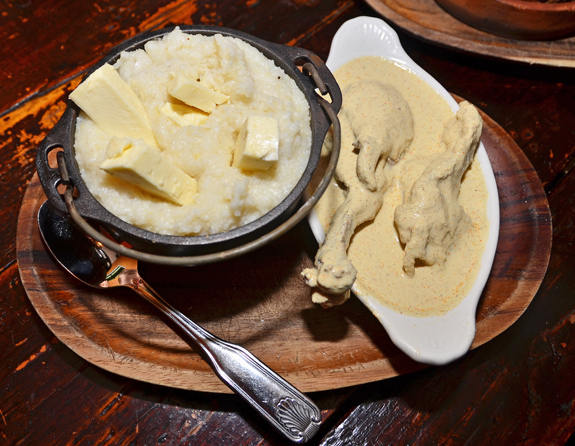 The sudden (relative) popularity of this subsistence dish from the mountains of Svaneti on New York menus remains a mystery. 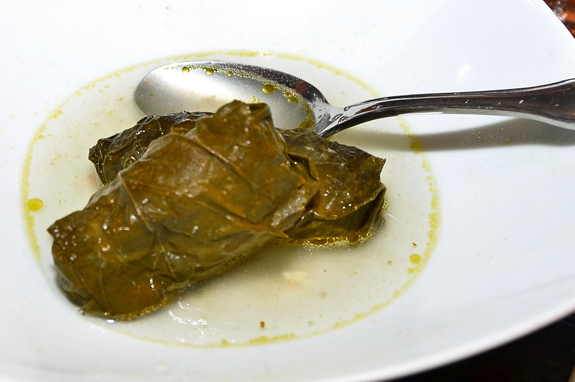 The tolma (or dolma, if you prefer) was… actually, I forgot to take notes about it! I want to say OK but not memorable, although I might be mistaking the symptom for the cause. 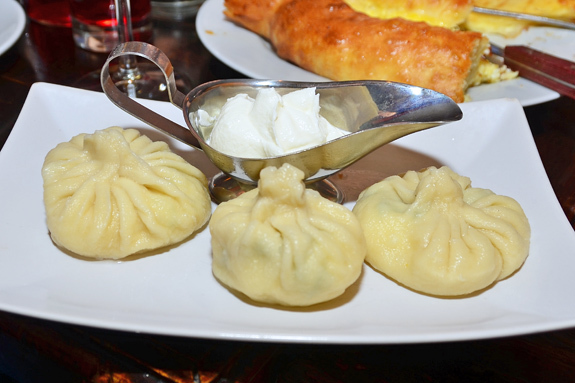 The khinkali, Georgian dumplings, we tried in 5 versions, some served with sour cream. All felt somewhat doughy, but that’s the Georgian style. You’re not supposed to eat the top; it’s just there for you to hold onto while you eat the rest. The lamb khinkali, flavored with herbs, was juicy but too salty. The pork-and-beef filling, tasted on a different day, was also juicy but didn’t have the salt problem. The airy meat patty, seasoned with parsley, I believe, was a success. 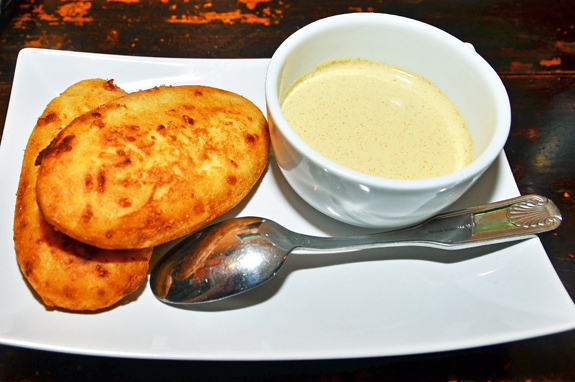 The mushroom khinkali consisted simply of large pieces of mushroom in dough, and were a bit dry. The potato version was nice enough, with some dill but not too much. Still, a potato dumpling often feels like starch overkill to me. 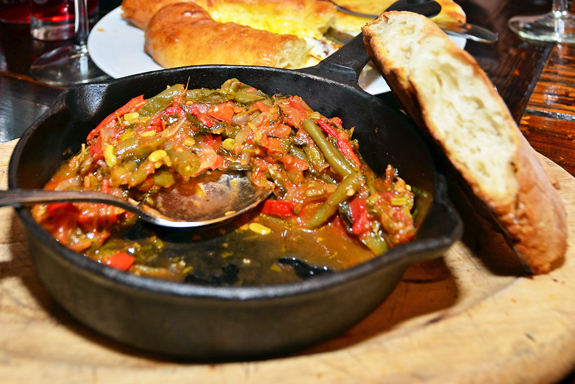 The lobio, a stew with green beans, onions, and peppers, served in a cast iron pan, was spicy and delicious. It proved to me that I should eat lobio more often. 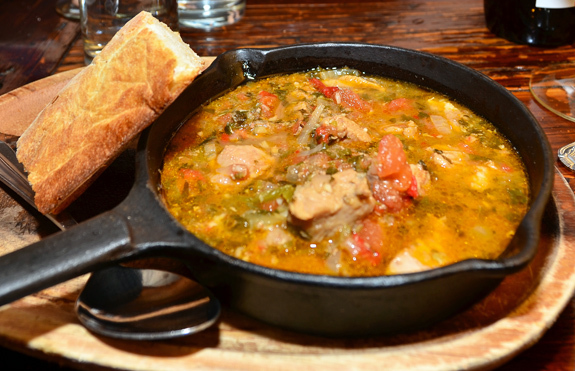 The bread, served with this dish as well as many other stews, was airy and crunchy. Perfect to mop the sauces. The chashushuli, generally one of my favorite Georgian stews, contained very tender chunks of veal, and vegetables similar to the mixture in the lobio but without the beans, simmered in a thin herb sauce. It could have been excellent, but it was very salty. Too bad. The chkmeruli suffered from the same problem. 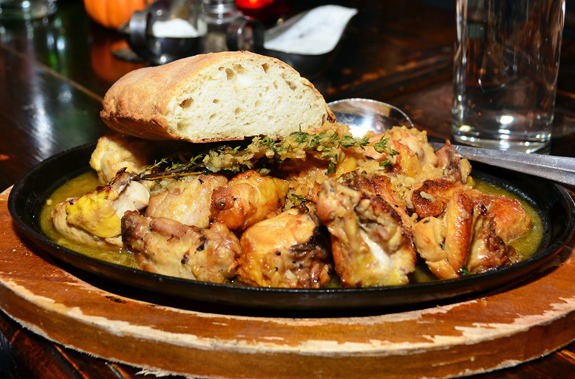 The roasted pieces of Cornish hen, served with a sauce of thyme and garlic, was nicely prepared but too salty. 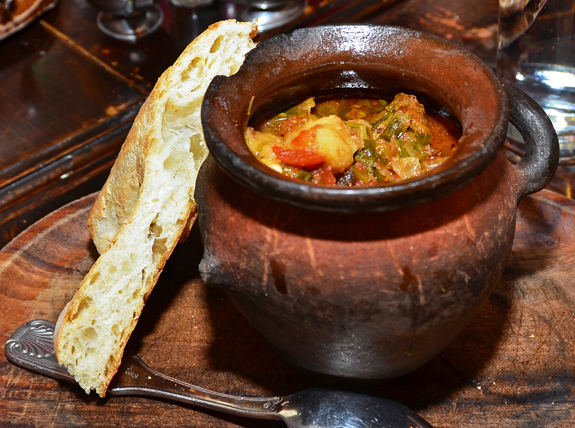 The chanakhi consisted of lamb chunks baked in a clay pot with eggplant, tomato, potato, red pepper, garlic, and tarragon, in sauce slightly thicker than the chashushuli’s. This one wasn’t oversalted, but the meat was tough, either too cooked or not cooked enough. We actually ended up cooking the leftovers for another hour and a half at home and got something much more tender. The vegetables were very good. The lamb mtsvadi (Georgian kebab) was somewhat tough, as well. We asked for it medium rare and got it medium well, but the main problem was that the meat was very lean, and most likely cooked in a frying pan (definitely not on a skewer since there was no hole). Cooking a kebab in a frying pan is an all too common heresy in Georgia, and the result is a kebab in name only. The chunky ajika sauce, made of peppers, garlic, and spices, helped the situation a little bit. The potatoes fingers served on the side lacked salt and were a bit starchy; neither crispy nor creamy. Despite all the khachapuris, we managed to save some room for dessert. The baklava, an assembly of very thin layers of walnut between sheets of filo, was very dry, with no discernable honey at all. Since I’ve never eaten baklava in Georgia, I can’t really say if that’s the Georgian way to do it, but it’s certainly not a good one. 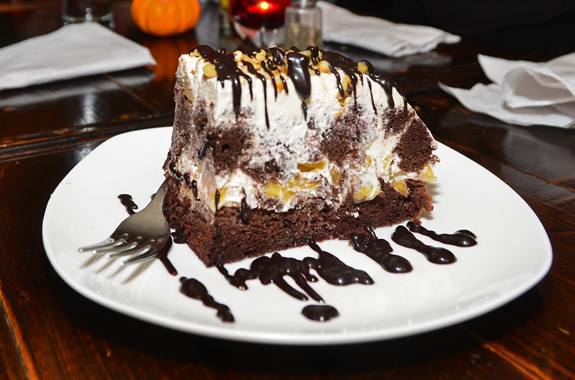 The chocolate pineapple cake can be skipped as well: commercial chocolate sauce, canned pineapple, possibly chocolate cake mix. The slice was huge, but there was nothing exciting about it. 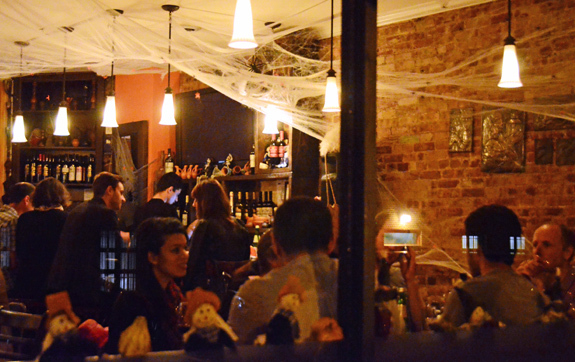 The food at Oda House is authentic and overall good, with ups and downs. The khachapuris are excellent, the stews can be delicious, some of the meat dishes aren’t properly cooked, and the desserts need serious improvement. However, the kitchen really has a problem with salt. 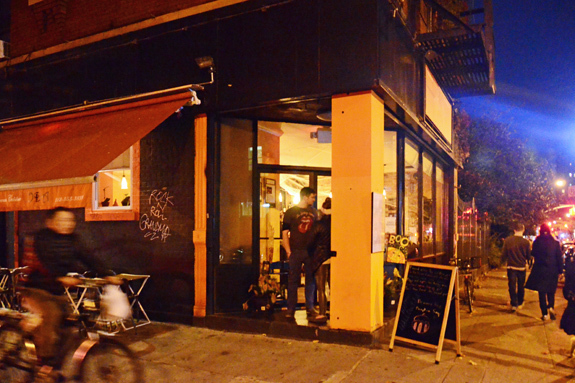 We visited the place twice, and both times many dishes were either very salty or not salted enough. And apparently I’m not the only one noticing this — Serious Eats noted here that proteins were undersalted. (Side note to the author re line “Georgian people are a distinct ethnicity in Europe, with their own language, culture, and food”: Your poor selection of words will surely please all those other Europeans of indistinct ethnicity who apparently don’t have their own language, culture and food, and never mind that Georgia’s a transcontinental country more than strictly European, at least until Russia’s next invasion). With a few small changes, the food could be much better. 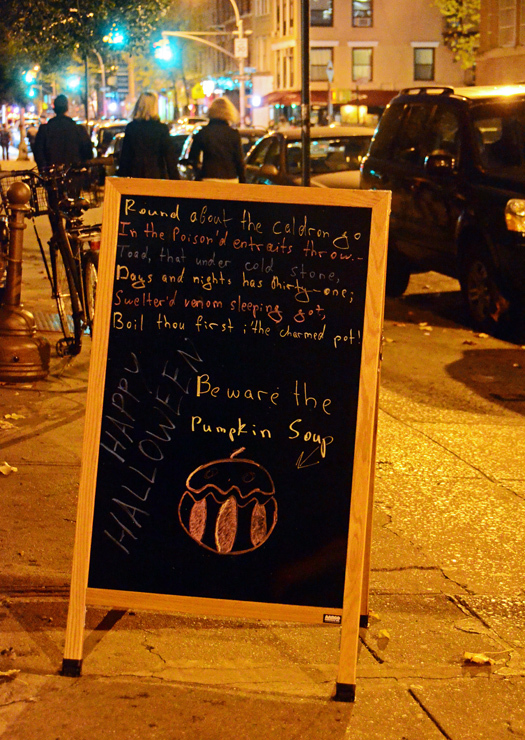 Hopefully the owners will take note, and we’ll all return again and again for debaucheries of cheese breads, meat stews, and wine! Meat tough and dishes too salty? That sounds incredibly authentic! We appreciate you taking the time to visit “Oda House” and write this review. 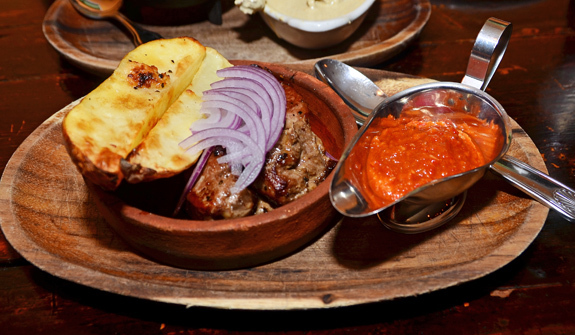 We are doing our best to offer New Yorkers authentic Georgian cuisine: products are chosen very carefully to match Georgian flavors, spices and some other products as well as wines are brought only from Georgia, all meats are organic and grass-fed provided by B&Y Farms. 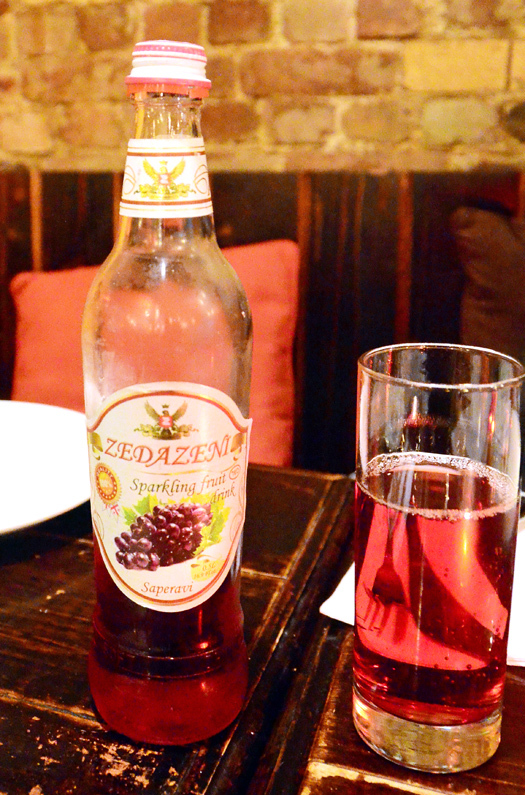 Me and my team are trying to find the right balance between Georgian flavors and New Yorkers’ tastes. We will take into consideration your opinion about some dishes being too salty. 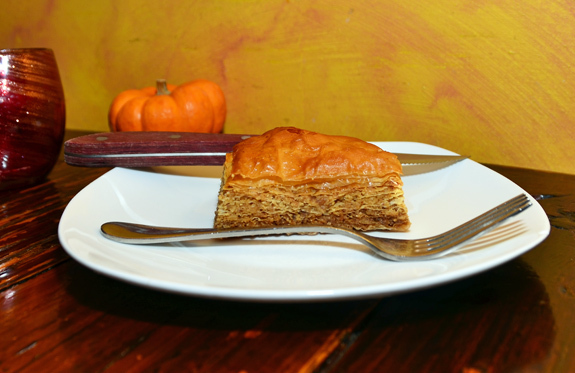 As for desserts, I would like to assure you that we don’t use canned pineapple or commercial chocolate sauce in our pineapple cake, also Georgian pakhlava is different from it’s Turkish cousin – baklava. It has more walnuts, is less sweet, has no honey. Overall it taste different of course. Thank you and we will be very glad to see you at “Oda House” again!